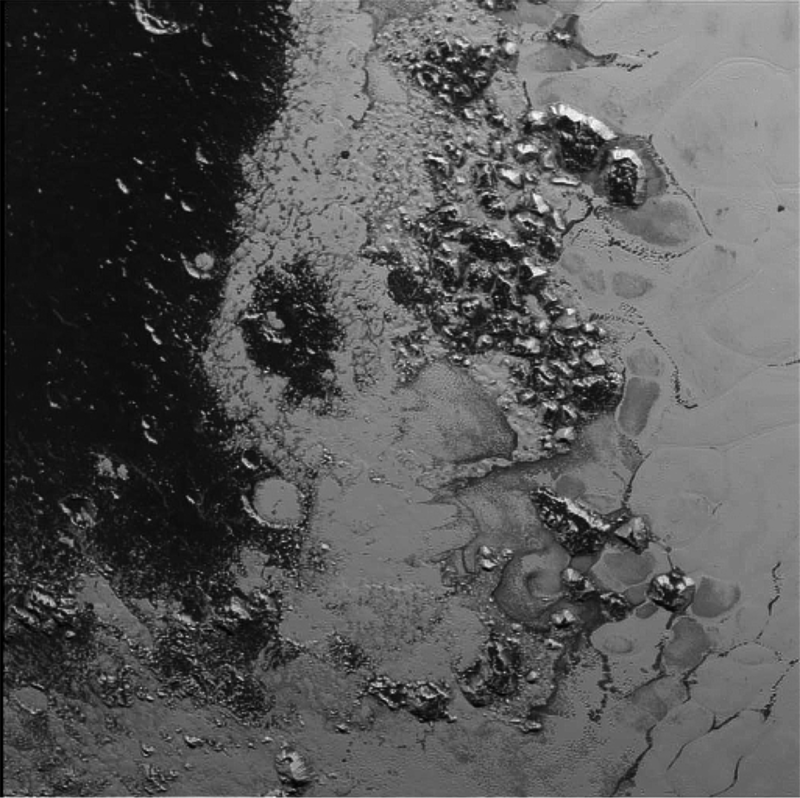 A newly discovered mountain range lies near the southwestern margin of Pluto’s heart-shaped Tombaugh Regio (Tombaugh Region), situated between bright, icy plains and dark, heavily-cratered terrain. This image was acquired by New Horizons’ Long Range Reconnaissance Imager (LORRI) on July 14, 2015, from a distance of 48,000 miles (77,000 kilometers) and sent back to Earth on July 20. Feature as small as a half-mile (1 kilometer) across are visible. These frozen peaks are estimated to be one-half mile to one mile (1-1.5 kilometers) high, about the same height as the United States’ Appalachian Mountains. The Norgay Montes (Norgay Mountains) discovered by New Horizons on July 15 more closely approximate the height of the taller Rocky Mountains. The names of features on Pluto have all been given on an informal basis by the New Horizons team.